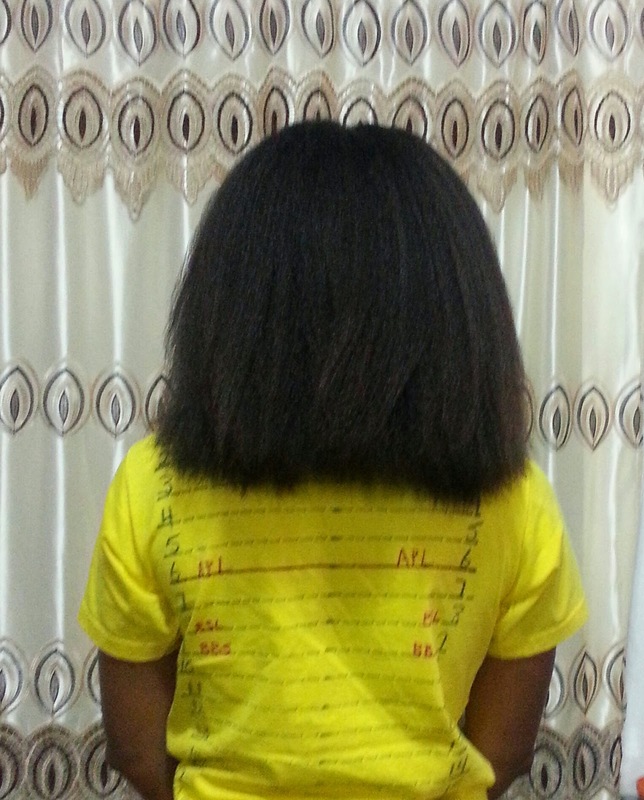 Healthy Hair Diary: Healthy Hair Journey: 2 Years and Counting! at least APL by now. I made it there in November of last year but lost it all at the hands of a healthy hair serial killer stylist a few days later in December, read more about it here. Yes, I’m still a little bitter almost five months later but I think I deserve to be lol, after he butchered my hair I ended up with fried ends and a sloped hemline. We live, we learn right?! As you can see, due to my setback I don't have much progress in terms of length but I love my thickness and the health of my hair. My plan this year is to grow out my hair then get it cut at the end of the year to even out my hemline, if I need to trim during the year I will. I know if I touch the scissors I am going to cut so I had my daughter hide it lol. Despite not being where I hope I would be I am staying positive, I am determined to make my setback a comeback. Healthy hair will guarantee long hair once I stick to my healthy hair practices. My daughter is one year into her hair journey and things are looking great, I got a really bad cold over a week ago so I was not able to do a proper length check for her. I am starting to feel better and want to try one of those strengthening systems, when I flat iron her hair I want it to last at least a few weeks, more on that to come. How far along are you on your hair journey? This is actually quite inspiring! I don't really have a date I started but it was around October 2011 when I cut of my relaxed ends and had shoulder length natural hair. I'm about two years and a few months in, and too wish my hair was a bit longer really but I had a bit of a set back last year. 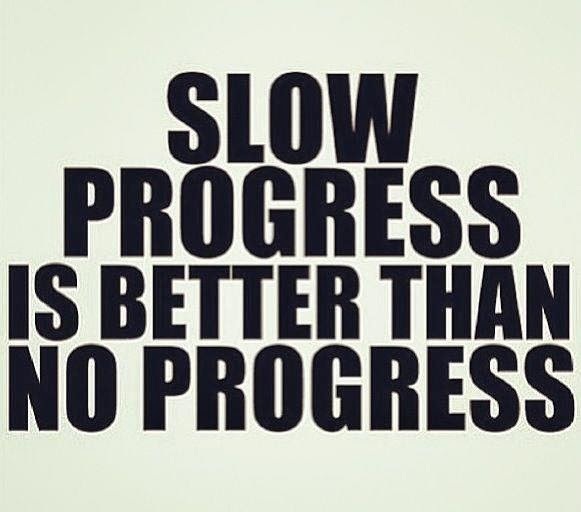 Anyway, like you said slow progress is better than no progress! We're going to make a big comeback, positivity is key! I made two years in February...cant really length check cuz ive cut my hair a few times well into diff styles..and by cut i mean shave lol!!! im letting it grow out..for now..lol!! I never saw your starting length but your hair looks so healthy, thicker and if not for your 'hair serial killer" your length would have been where you wanted to be. It's growing back nicely and your thickness is awesoooooome. Can't wait to see how your daughter hair is doing. Btw i'm 2 months shy of my 2 years hair journey. My hope is to maintain my thickness, you know how it can start to look thinner as it grows longer, I can't wait to see where I'm at by the end of the year! Your hair looks so full and healthy! I agree with the other comments. your hair does look thick and healthy, though I do understand the frustration you are going through. But take heart in knowing your hair has actaully been long (BSL) so you will make it there again! I have no doubt in my mind that I will have long healthy hair one day, thanks Yvonne! If I can be APL by the end of the year I will be forever greatful! 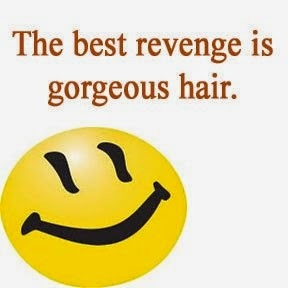 I love how super thick your hair, I too feel like I always lose inches when I visit hair stylsts!!! I sometimes feel like my hair has stopped growing, but then I notice the thickness and I know all is well. Good luck with your hair goals for the rest of the year! Thanks Neo! As much as I would love to find a stylish I can trust, I've blacklisted them for awhile.